There are a wide range of fun and interesting ideas and activities for hosting the best birthday party for your kids. This especially becomes handy when you are holding a party at a tight budget. There are tons of interesting activities, themes as well as ideas to choose from, and keep your kids and their friends overwhelmed to the end. 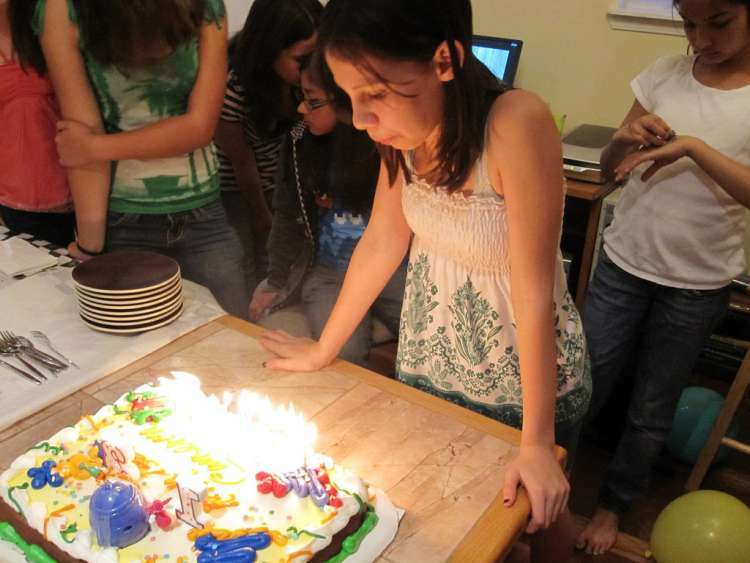 This article covers some of the best birthday party ideas for your kids. There are also plenty of other internet sources, magazines and library materials that provide amazing and cost-saving ideas. It’s important to carry out a thorough research long before holding the party to ensure that everything is set on the big day. Planning early is critical for all parties as it ranges from hunting for supplies to choosing the best theme to keep best memories for your kids. Early planning also helps you to compare the available options, saving you from the trouble of having to rush in the last minutes, only to buy overpriced things. Planning early enough also saves you the embarrassment of forgetting to buy or include some important features and items needed for the party. This will not only help you in choosing the best theme appropriate for your child but will also contribute to your child’s participation before and during the party. Boys and girls have varying preferences. In addition, not all themes are fit for all girls or boys. For instance, some of the popular themes for boys include features such as construction cones, ninjas, pirates, scientists, toy cars among others. For girls, the parties often feature strawberries, sprinkles, princess bashes and glitters. You can also choose to establish a theme incorporating a seasonal event such as Halloween or Easter. Having to share great memories with a close friend can also be exciting for your kids and their friends. Doubling up can also help increase the number of people attending the party, increasing the fun. In addition, this also saves parents for both kids plenty of money as well as minimized responsibility. However, it’s important to have a cake for each child rather than let them share one. There are tons of fun-filled activities that will cost you little or no money. When under a budget, hired entertainment can be expensive, when you can as well opt for other classic games at no cost. You can ask other parents whose kids are attending for such activities, or even research at the library, YouTube or related sites, corresponding to your party. Traditionally, most parents used to send invitation card and letters. This practice is still used today. To break up the tradition of paper invitation, you can opt to send your guests an electronic mail such as an email or a short message. This will not only save you the money spent on paper invitations but will also get to your guest quick and in time. To add fun to the invitations, you can also ask your kids to make a video message to send their friends. This can be cost saving as you will pay less compared to hired entertainment. For instance, rather than hiring a party crew consisting of police officers, you can ask a few of your police friends to attend the party dressed in their full uniform. This will be exciting and more real to your guests. Additionally, it is less likely that they will ask for any money from you. Likewise, you can ask a friend who can bake to prepare the cake for the party, of course at a cheaper cost compared to getting a cake from the store. The most exciting age for birthday parties is during preschool. Keeping it simple can be cost saving as well as exciting especially when there are plenty of friends and guests, lots of exciting activities and most importantly, tables full of food and snacks. During your kid’s big day, it’s advised to prepare a variety of your kid’s favorite food to allow them to opt out their favorite at their pleasure. When you have the whole afternoon to enjoy a party, it’s best when you have a couple of board games and sporting activities. Let the kids break into teams that compete towards certain goals or points. You can opt to award prizes to the winning team or even come up with gag prizes for the losing team. Just by gauging your guests’ energy levels, you can know when to switch from board games to more active outdoor sports such as soccer, basketball or baseball. One of the best ways of ensuring that your guests are always entertained is keeping them full of plenty of diverse foods. Avoid having too much of one type of food especially colorants, sugar, and flavoring. Include some special treats for your child to share with friends. Also include healthy foods, fruits, and snacks. For instance, make it interesting by getting a yogurt-honey dip or shaped fruits. When planning a birthday party under a limited time and budget, buying a goody bag from the store with cheap toys can be expensive and a waste of money. Most of the toys end up becoming garbage at the end of the day, wasting the money spent. Instead, you can opt for cheaper and creative alternatives using items made at a spa party to make a goody bag. Likewise, you can include jars or bags of dry cookie mix when holding a baking party. Today, most parents have access to a wide range of useful sources of information ranging from the library, borrowed books to the internet. Birthday party ideas are readily available from the internet, providing you with plenty of fun-filled activities for your kids and guests including playing games, singing themed songs, holding puppet shows, bouncing castles, among others. You are sure to get just the right theme or ideas that will not strain your budget but give the best and memorable birthday party ever to your child.